I’ve been keeping a close eye on Bond Travel Gear since testing out their excellent Tool Roll a while back. 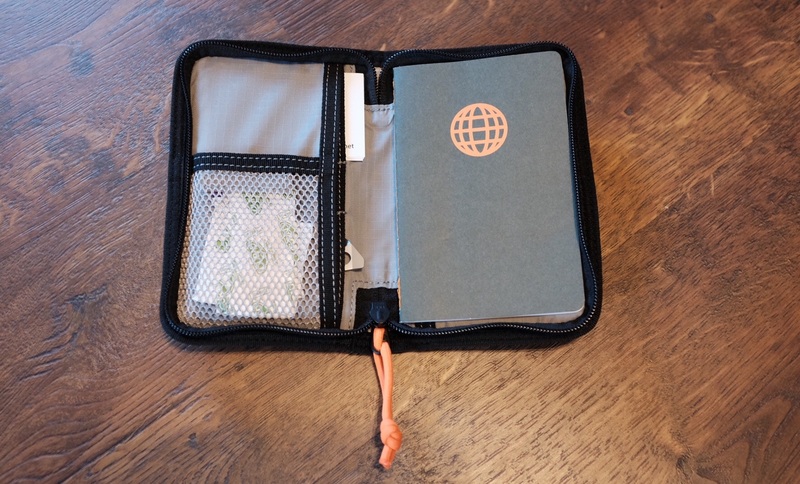 This Travel Wallet caught my eye as a potentially great little organizer pouch. I picked one up to test, and have been quite pleased with it over the last several weeks. 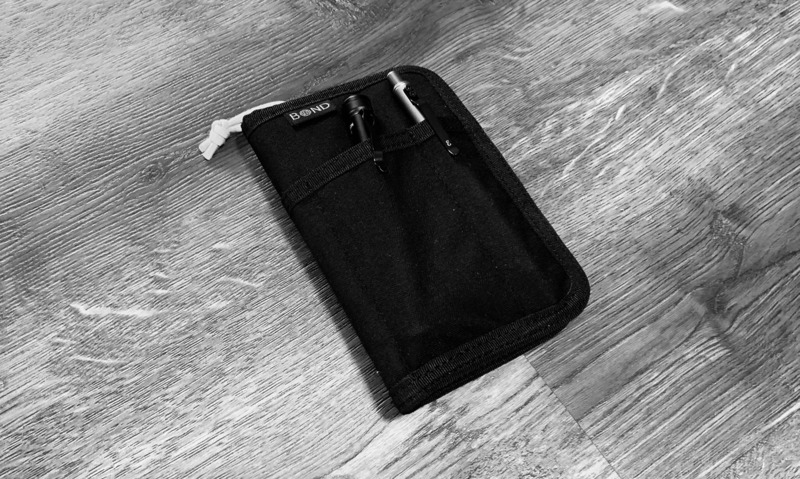 The first thing you’ll notice is that this little wallet has a bit of an identity crisis on its hands, straddling something of a wallet/pouch/notebook case situation. It’s basically a thing to hold things, and it holds things pretty well. This is a small kit to hold the essentials, the travel nature of it is found with the RFID blocking fabric used, which I have no clue how to test or verify, so I’ll assume it works great. It has become a quick grab item for me when I am dashing out of the house, but think I might have a few extra moments to kill. I tend to not want to bring a bag for stuff like that, but this has been perfect. It’s also great to toss from bag to bag, so you know you have what you need. If, like me, you change bags a lot, this is how you have to work. Notebook: Bond’s is field notes sized, but with better paper. It all fits quite nicely, and securely. Having quick access to the pen and flashlight on the outside has proven to be quite handy. The one issue I’ve run into is that it is not possible for me (as a lefty) to write in the notebook while it’s in the case. The bulk of all the crap I keep on the other side of the wallet makes it too hard to comfortably write. However the notebook slips out easily, so it’s not been a dealbreaker. It’s good, but not quite perfect and has some small issues. The zippers can be a bit fiddly to get zipped when fully unzipped, and the pouch can take on odd shapes depending on what you stuff into it. 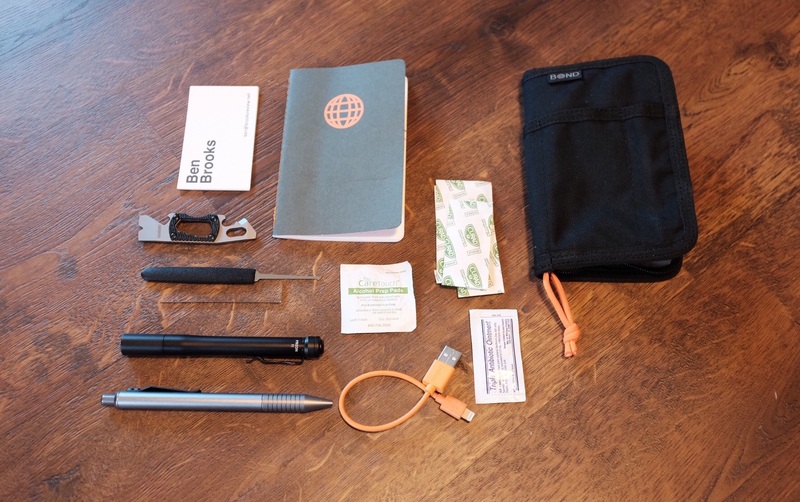 If your bag kit is small, this could be perfect for you, and it has worked out better than any other small pouch for me so far. Like the other Bond gear, it’s made like tactical gear, but for practical gear instead. I love that about Bond’s offerings, and this is likely to be a constant companion for my go to items, as I tend to move from bag to bag for everyday needs. You can grab it from Amazon with free Prime shipping here for $34.